Do you live IN Costa Rica & are you looking for a travel agency IN Costa Rica to help you plan a trip OUTSIDE of Costa Rica? Another option is to buy things online/on the internet/web & have friends/family bring them to you. You can have them shipped to you & though the item could be cheap, they often are in oversized boxes hence there will often be a fee for such oversized boxes. http://Overstock.com/bedding/29/store.html - MY FAV site!!! MEMORY FOAM TOPPERS (a MUST in Costa Rica as MOST beds here are as hard as a rock!!) - I've found 2" Memory Foam Toppers WITH 1-2 Contour Pillows for $80 + & sometimes they have $1 or even FREE Shipping within the U.S.! (http://overstock.com/Home-Garden/Memory-Foam-2-inch-Mattress-Topper-Contour-Pillows/1862668/product.html)!! SHEETS: Once I got 1,000 tc/thread count Egyptian Cotton Sheets for $170 - reg. $400!!!! (right now they have some 1,500 ct. for $170!!! Those must be BEYOND heavenly!!). I've found other 400+ tc sheets for as low as $25-$40 a set!!! MY FAV - ESPECIALLY for COOL comforters/Bed-In-Bag sets, blankets & towels!! EMPENOS • COMPRAS Y VENTAS = PAWN SHOPS! Initially I had to wrestle with whether to write about Pawn Shops in the first since the BIG image is that much of it is stolen, but in these tougher times - many things are also brought in by people that just REALLY needing money (sadly we’ll be seeing more and more of that in the near future!!) and besides, I do believe these stores are frequented by police (hopefully undercover) that are looking for and removing the stolen goods. Plus, after going, I learned there were also LOTS of NEW things as well so I got over it and would easily suggest to people to consider this as an option - especially when you're looking for a cheaper used item - like a camera or even appliances!! You bring your item in (in good physical and working condition of course) and if the Pawn Shop owner agrees to "lend you the money", you make a commitment for the agreed upon conditions. The Pawn Shop agrees to take care of and protect your item - giving you a certain period of time (standard is about 90 days) to pay the item back with a BIG interest (hey - bank interest rates and credit cards are pretty darn high any ways so I can only imagine what some smaller ones are offering you) and as long as you keep making your payments on time, you get it back. If not, they can sell it to recoup their investment (so do NOT get behind on your payments or you'll have no one to blame but yourself!!!). WARNING!!! What they offer you is NO WHERE NEAR what you think it's worth!!!!!!!! A FUN TIME was had by most!! Before going, I had MANY people about how unsafe it was and to ONLY go with a GOOD Tico friend that you can TRUST as it’s VERY VERY UNSAFE (for driving/walking and especially parking). I went with a taxi driver (that I trust) and a few friends and broke off on my own and felt ok (of course I wasn’t carrying anything but my backpack and pepperspray ALWAYS cocked!!). I think had I just taken him to get there/back, I would have been fine - as long as I wasn’t walking about with my purchases (which if that was the case, I’d probably leave them at the store and once I was ready to head home, have my taxi pick them up)(just keep that “Street Smarts” up!!). I have seen almost EVERY conceivable item in these pawnshops - everything from appliances, cell phones, electronics items from drills to vibrators (yes! ), furniture, computers and tablets (even Mac’s), guitars, jewelry - things used AND New! You can walk into the store, skim through pretty fast as things are pretty much out there and get out (Power Shop!!!). I found the workers to be quite friendly and helpful and most stores had at least one person that spoke pretty good English. One of the reasons I was told it was also good to take a Tico with you was I’m SURE you can do better with prices if the Tico is doing the negotiations (withOUT you there). With that said, next time I wanted something more pricey or a bunch of things, first I’d go with the driver who spoke both English and Spanish, find what I wanted and it’s price, make a list (along with which store it was in), then have my driver go back another day (or maybe just drop me off at a restaurant while he went back to do this). If you do it this way, ya GOTTA trust the driver you’re using (email me if you would like some of the people I use/trust). Your best price will be paying with CASH and I believe most of the places DID take credit cards (at least the larger ones did). There are a BUNCH of pawn shops in the Central San Jose area around Avenida 1 and Calles 14 - 20 (about a 4 square block radius) near Mercado Central (the Central Market)!!! 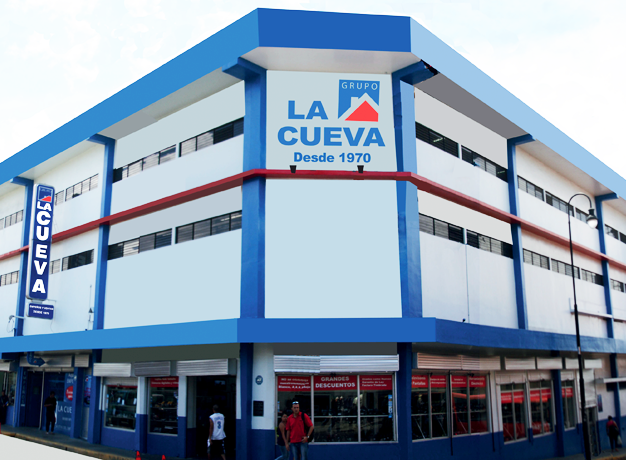 La Cueva is THE MAIN/largest (under one roof) and oldest (over 40 years) Pawn Shops•Empenos in Costa Rica, selling everything from appliances to Musical Instruments (even Guitarspower tools and LOTS MORE!! I hear they even sell GOLD??!!!!! POLICY: 10% interest per month on what they've loaned you - or 5% if it's 100,000-c+/$500 for up to 3 months. San Jose (main office - Downtown) - Calle 10 between Avenidas 1 and 3 - diagonal to the South•West • Sur•Oeste corner•esquina of Mercado Borbón. The MOST LOCATIONS around Costa Rica (21 locations) carrying everything from appliances to jewelery, musical instruments (including guitars) to power tools and LOTS MORE!! I hear they even sell GOLD and SILVER (that has been certified. Note for sellers - it is valued differently considering the authenticity of the precious metals, the karat and weight). They do NOT buy cell phones, car radios, radio dials and weapons. LAYAWAY - You can pay by cash or do Layaway with 30% down and the balance due within 2 months at NO interest!! VIP - Need discretion? Just call and arrange it ahead of time for a private viewing. HAD SOMETHING STOLEN? THERE MAY BE A SOLUTION TO FIND IT!! THEN I'd hit the Pawn Shops. SOMETIMES the criminal will actually have the chutzpah to CALL YOU and offer to sell the item BACK TO YOU!!!! (some people might keep your mouth shut out of fear that the criminal knows where you're at!!! He wrote: "All my important files are encrypted and password protected through Mac Sparse Bundles, so the thieves wouldn’t be able to access any bank accounts or other sensitive information. All my important files are backed up on-line through mozy.com, including pictures, and the book I’m writing. All my passwords are stored securely using Keepass.info and backed up through Mozy and Dropbox.com (I Vicki use DropBox which gives you a certain amount free but if you sign up, please say SarongGoddess@gmail.com referred you and I get a little more space for free!!). Tracking software called PreyProject.com is installed on one of the MacBooks, which takes pictures of the offender and emails them to me along with other information. One of the iPads also has FindMyIPad on it which gives me their exact GPS location. Unfortunately, they need to get on-line for these programs to be of use. What’s your favorite Pawn Shop?? If the World Could Vote . . . . VERY INTERESTING!!!! If the world could vote....VERY INTERESTING!!!! Just three guys from Iceland. The site is independent from all political parties, companies or hidden agendas. It's just an idea a 22 year old guy in Iceland came up with and executed with a little help from a couple of friends. Just out of curiosity. The president of the United States is a powerful man, probably the most powerful person on the planet. So everyone seems to have an opinion on who should be the next president of the United States. We thought it would be interesting to see who would be the next president if the whole world could vote. It's also a challenge to try to beat the number of voters in the last US elections. So spread the news. AguaCulturists & Owners Damian & Samantha Geneau have opened Product c - an upscale seafood deli and national fresh oyster distributorship in Playa Carmen, Costa Rica (on the Pacific Coast of Costa Rica - near MalPais). Our "Saccostrea Giggas" Seedlings, which were originally brought to Costa Rica from Chile, are cultivated with the utmost care and safety standards by local Marine Biologist Alexandra Peralta. What a FUN place & I don’t even have any pets!! They had LOTS of unique/American toys/fun things/foods++ - everything from a Pet Bunk Bed, Trampoline (this is REALLY GOOD for longer haired pets that get overheated as it ventilates them from below), Dog Boots (for those rainy days), even FUN costumes/outfits (I felt I was back in San Francisco!!) & MORE!! They even had Greenies (to me the BEST/healthies [albethem mucho $$$] dog treat that’s great for their breath!!). FOOD: They carry Science Diet, Hills Prestone, ProPac, Optimo, Lams. PET GROOMING - They say they’re the ONLY place in CR with a Pet Drying Machine (no Josh, they do NOT tumble dry them!!!) & use Romani Inc. & Edemco Professional Equipment. Plus they can provide EXPRESS Service in Santa Ana & Escazu.